Everything about embargoes, backdates and publishing times. 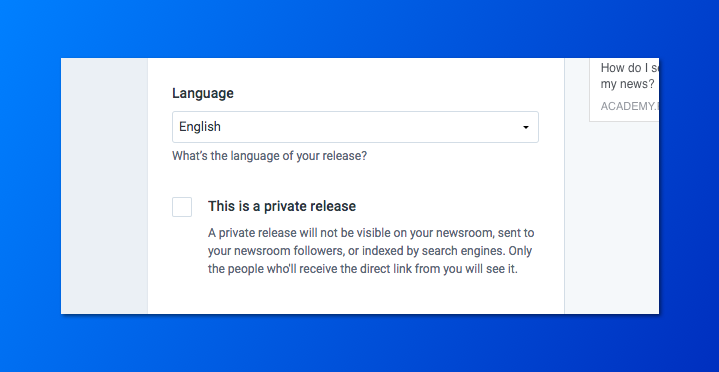 What's the difference between an embargo and a private release? An embargo is a press release that will be published in the future, so you can share it privately through the exact URL. A private release is simply a press release that does not show up in your pressroom. If you're working on an exclusive, you should set an embargo. When should I publish my release? It depends. See our study here.